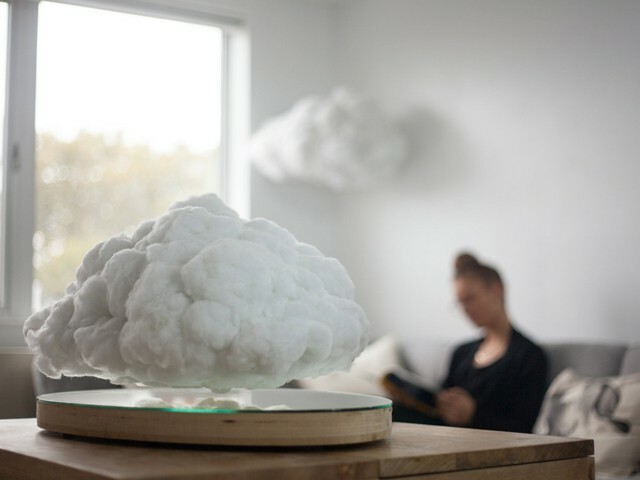 We have been long fascinated with Richard Clarkson’s “The Cloud”— which is an interactive lamp and speaker system designed to mimic a thundercloud in appearance. It uses motion sensors and LED’s to create the illusion of a lightning storm within the cloud. While the original Cloud was wired, the newest version of The Cloud is smaller and is embedded with magnets that allow it to float a few centimeters off of its base. Due its magnetic components, it has life-like movements such as rotation and bobbing up and down. While this new and improved version is still in development, we will certainly be keeping tabs on this awesome display of design thinking! Click here to read more about The Cloud.